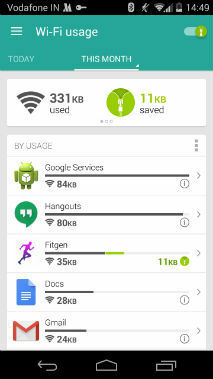 The Opera Max app focuses on reducing the amount of mobile data usage and does it quite well. There are some flaws though. They say India is a mobile first country, which means that not only do we use a lot of mobile data, but most of our Internet traffic comes from mobiles instead of PCs. Which is presumably why it has taken the Opera Max app less than two months to come from US to India. The beta for the app had originally been kicked off in US and Europe back in February this year, but no country presents a greater need for saving data than India. Yes, that’s what Opera Max does, it compresses and hence reduces the amount of data you use on your mobile. For the uninitiated, this is the same company that made the Opera Mini mobile browser. The company is already known for doing the exact same thing through its mobile and desktop browsers, but now Opera is extending that to the entire Android system. It does so by setting up a VPN connection on your phone, which then runs all the traffic that you generate through the Opera Cloud, where it is compressed. Before you say it, yes, there’s a privacy issue here. While Opera says it won’t do anything nefarious, it’s up to you to believe them. 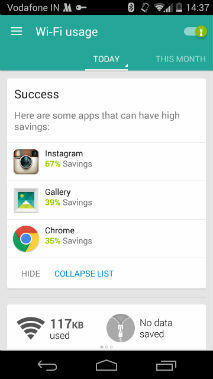 You have to be willing to let Opera Max look at everything you’re doing on your phone if you want to use the app. So, the question is simple, is the tradeoff worth the benefits? Another problem is that Opera Max requires access to your USB Storage, which is not something we’d want a VPN to do. This is even more important because the app keeps running in the background even after you have disconnected the VPN. If you spend most of your time browsing then you may not feel the difference that Opera Max makes, even though it does. If, on the other hand, you’re an avid Instagram, Flipboard, Vine etc. user, then you will save tons of data because of all the compression that Opera Max is capable of. 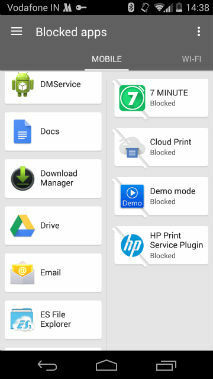 It also allows you to completely block individual apps from using data over WiFi or your mobile network. Won’t compression ruin the quality? Surprisingly no. 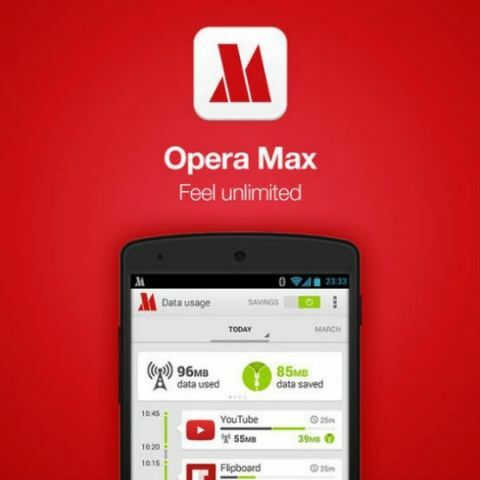 Opera Max compresses data, including images and even videos that you play on YouTube. According to the company, the app can compress a 10MB video down to around 3MB without any visible loss in quality. And we tend to agree with this. In addition, there are no really big lags either, as long as you’re browsing and watching videos. Opera Max’s VPN does interfere with smooth operation of games in this case. YouTube videos perhaps take a second longer to start, but that’s about it. There’s no difference in the buffering rate, either over WiFi or mobile networks. The image quality is also not compromised enough to make a big difference, but your data is still being saved. It’s evident that Opera has put all its expertise in data compression. It’s easier than using the Facebook app, which is both a boon and a curse for Opera Max. On the one hand, it’s really easy for a basic user to use this app. The app is divided into two parts — mobile data and WiFi. Both present a list of all the apps on your phone (both preloaded and otherwise) and you simply have to tap on the ones that you want to block. On the other hand, we personally would have preferred more control over the apps. For example, Opera Max could have set a limit on the amount of data an app can use before it’s blocked on mobile data. Also, separate parts of apps can be allowed or disallowed from using data, for example. Most importantly though, there’s no option to not compress data. In a game like Marvel: Contest of Champions, which uses data continuously, the Opera Max VPN keeps the game from running smoothly, presumably because it tried to compress the data. I want to stop it from doing so, but I can’t. That really depends on what kind of user you are. Do you watch a lot of videos on your phone? Do you find the data charges to be too much for you? Then Opera Max can definitely help and the trade-off against privacy may be worth it for you. On the other hand, if you’re like us, and your data usage is too high for a little compression to help, then you probably won’t care about this. You can download Opera Max on Google Play. what is the use of laser auto focus in smartphone? Any one know what it\'s use for in smartphone? is tap to focus camera features is available in Moto g2? Which is better between ON MAX and J7 MAX? best weather app in ANDROID?